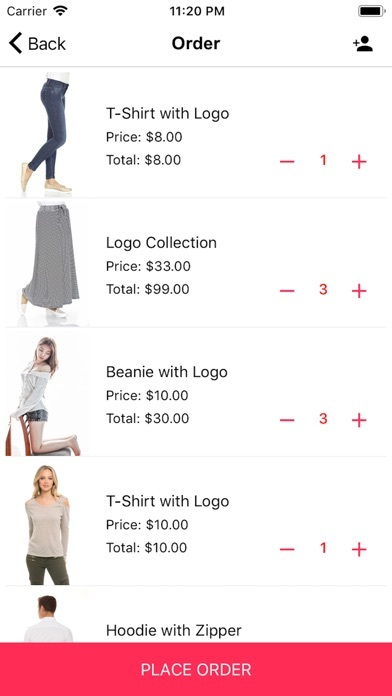 Mstore's admin app for WooCOmmerce is Beautiful app connects to your WooCommerce store and lets you see Sales, Orders reports and charts. 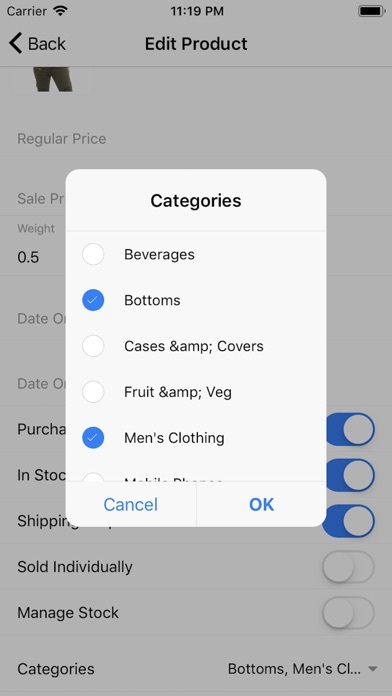 Lets you add, edit, update and delete Products, Categories, Coupons Etc. 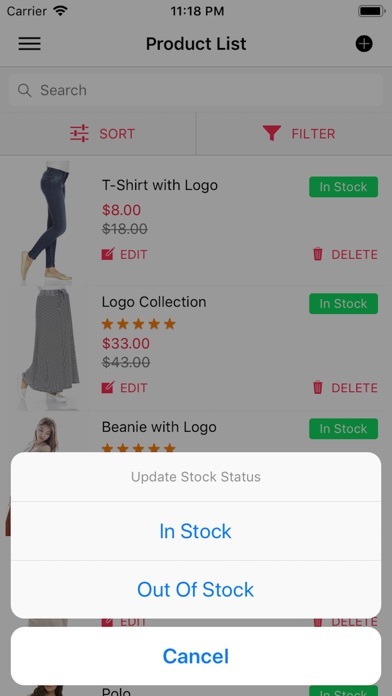 Just download this app and connect your WooCommerce store. 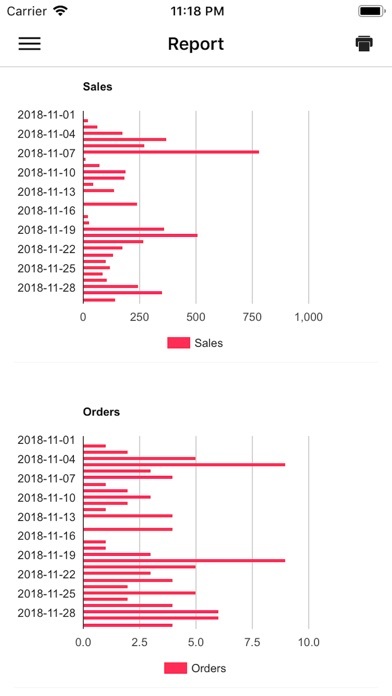 Your store data Product, Categories, Orders etc are automatically imported and synched Dashboard - See total revenue, orders, sales, top-sellers, new customers etc - View trends of week, current month, last month and current year - View Charts Sales, Revenue, Orders, Top Sellers, Customers Etc Report - Create report for daily, weekly, monthly, yearly and custom date - Print report directly from app - Send report over mail Push Notification - Get Push Notification on New Order - Get Push Notification on Low Stock - Get Push Notification on New Customer - Push notification supports unlimited devices and configurable on each device Note - This service require wordpress plugin to be installed on your site Orders - Quickly see list of all orders with order number, customers details, date and status - Quickly update status of an oder - See summary of orders with customer info, order status and product info and payment and shipping details - Create new order, select product from shop and add to cart, choose customer before placing order - Create new order note and option notify customer when you create new order not POS - Point of sale - Quickly create orders from pos tab. 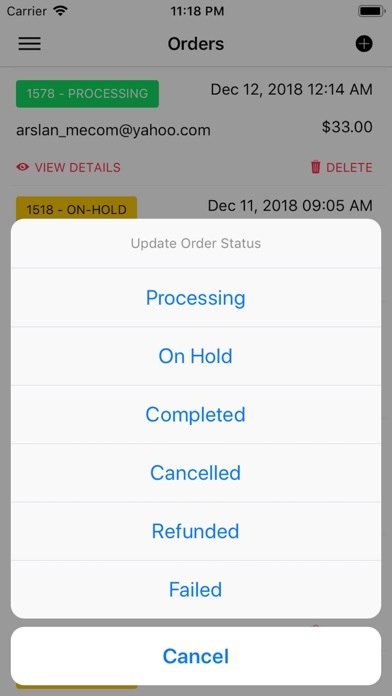 Add customer, discount and print order invoice directly from app Products - View complete details of your products with name, thumbnail, price etc - Edit and update product name, category, price, status, description etc - Quickly view in-stock and out of stock status of products - Quickly Add or Delete a product Categories - View complete details of your categories with name, thumbnail and product count - Edit and update category name, description, parent etc - Quickly Add or Delete a category Coupons - View complete details of your coupons, its usage, date added etc - Edit and update coupon name, description, categories, Usage limit amount etc - Quickly Add or Delete a coupon Customers - Quickly see list of all customers, Add new customers, View customer details, Edit customer details and delete customers - Call customer or send email to customer directly from app Shop - View Categories and associated products. 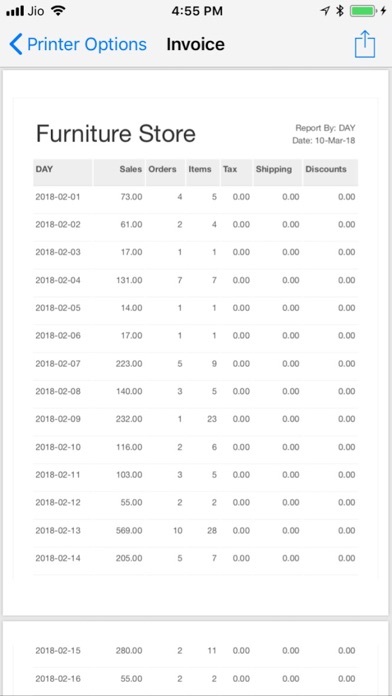 Change grid view and list view with product thumbnail, name, price and description - View Product details with name, price, short description and description - View Product Reviews - View Product image with image sliders Cart - View cart, view cart items, add products to cart, delete product from cart. 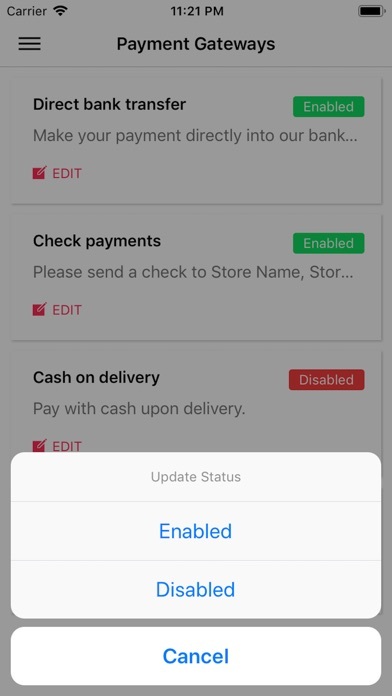 search customer and choose customer and Place order on behalf of customer Settings - Set Store Name, Store Image, Store URL and Api Keys and secrets. Ability to customer image for store, Image selected from cameral roll - Both http and https are supported. Add URL starting from http or https i.e http://example.com Extended Charts - User can choose their desired chart type. 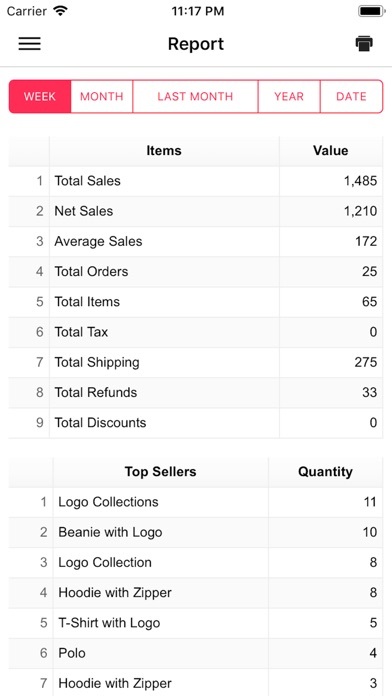 Total 8 charts are available for review reports of your store. 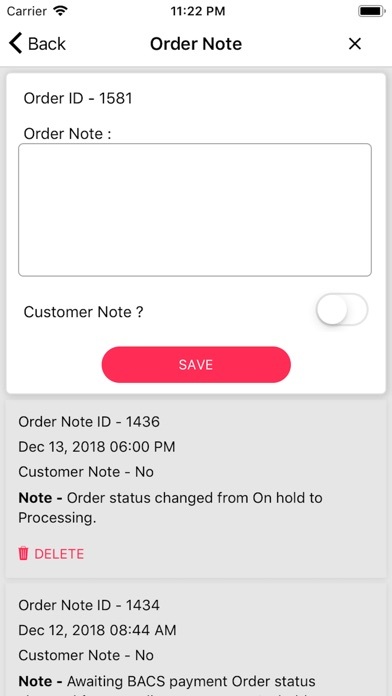 They are Bar Chart, Pie Chart, 3D Pie Chart, Donut Chart, Line Chart, Column Chart, Step Chart and Scatter Chart Payment methods - View and manage payment methods Print invoice - Quickly print invoice with printer connected to your ios device Multi Store - Supports multi Woocommerce store. 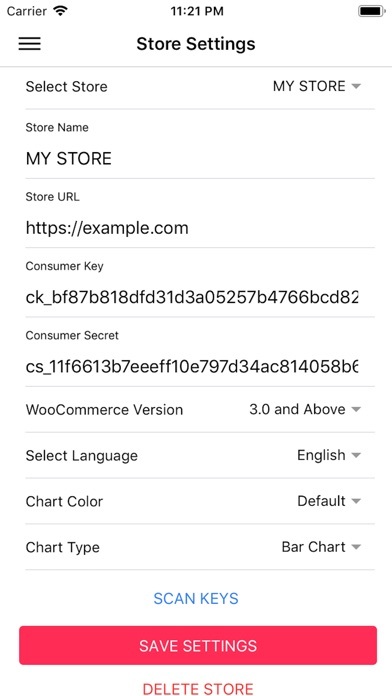 you can easily switch between store Requirements To use WooCommerce admin app you must be using: - WooCommerce 2.6.x or later. - WordPress 4.4.x or later. - Pretty permalinks Enabled in Wordpress > Settings > Permalinks.